The Poker Beat Crew celebrates our first-year victory in Bluff Magazine’s Reader’s Choice Awards. Then we take on the Kathy Liebert / Daniel Negreanu confab in Mississippi where they talked about what it really takes to get a sponsorship deal in this day and age … and we speculate on where Annette Obrestad fits in to all this. Then, what it means if anything that Phil Ivey dethroned Daniel Negreanu as the all-time tournament money leader. We never thought weâ€™d say this, but Barry [Shulman], we salute you! Now, if youâ€™ll excuse us, we have to go and throw up. The new World Series site just went live, just in time for the November Nine … check it out at either WSOP.com or WorldSeriesofPoker.com. 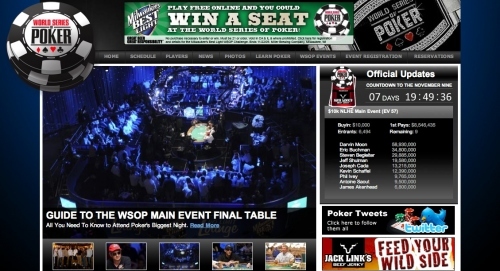 For the past couple years, Bluff has been running the WSOP website — they actually paid them for the privilege. But now Harrah’s has said we don’t want your stinkin’ money! what, you can’t keep paying us? Fine then, we’ll run it ourselves … and the keys to the WSOP internet machinery (now a division of Harrah’s Interactive Entertainment) have since been handed over. We’ve got a new highly unscientific poll up. I’m curious … where do you like to go for information on players — whether it’s to see how a well-known entity has done over the course of a career or to see just WhoTF some new-name is? Cast your vote over yonder in the sidebar on your right. Trying to decide on one as my go-to source. * and some I knowingly omitted, like WSOP.com and WPT.com, because they include only their own tourneys, and what use is that to me beyond summing up totals? NOTE: I also removed PocketFives from the list (they had no votes) … because they, similarly, only have profiles for their own members … though if you are looking for data and results from serious online screen names, they seem to have the best info, well-presented. UPDATE: Just discovered (in the process of doing this post) PokerListings’ online-player database — complete with their cool MarketPulse thingy — and theirs may be better than P5’s. Matthew Parvis has resigned from his position as editor-in-chief of Bluff. This is confirmed fact. 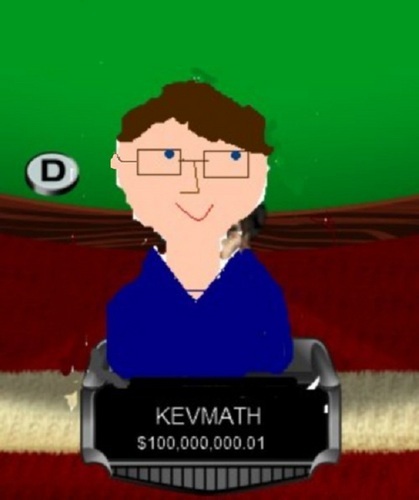 Supposedly he is headed to PokerNews.com. Not confirmed, and in what capacity not sure. 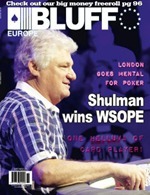 Lance Bradley will take over as EIC of Bluff. Confirmed, and makes sense, since he has previously served as the top editor of Bluff’s website, and by proxy, WSOP.com, which Bluff loses control of any day now. Nick Geber has reportedly been “fired” from Bluff, or at least “let go”. Not confirmed … circumstances unclear. Nick is supposedly a part-owner of Bluff Media, too … so extra layer of complexity there. Interesting … to at least about a dozen or so Pokeratizens. Also, we can go ahead and debunk the wild rumor started here that Nick Geber’s kerfuffle at Bluff was sparked by his intent to go to Soccerati.com to replace SangyFarha. Simply not true. One of the great WSOP traditions is fast becoming the Bluff/Sapphire party (3rd year?) … where hundreds of Amazon-entrenched pokerers — from pros to media to dealers — who have lived for more than a month in a pen mostly void of conjugal relief gather to collectively release steam before hunkering down for the main event … and what a perfect night when the other big party is the “elitist” Ante-Up for Africa afterparty. There’s something delightfully egalitarian about being entertained by 98-percent naked aspiring starlets making money while having a grand-ole beglittered time … personal degeneracies be damned. 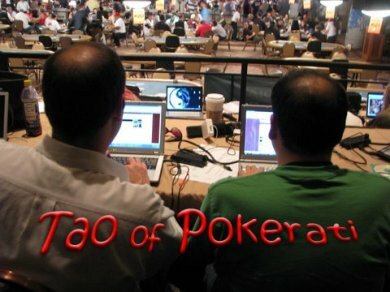 AlCantHang fills in for yours truly to record the first ever Tao of Pokerati episode mid-lapdance — an “event” joined by DrizzTDJ and (briefly) Calfornia Jen. Change100 gives the (awesome) play-by-play. Plus Kathy Liebert … and is that Tom McEvoy?